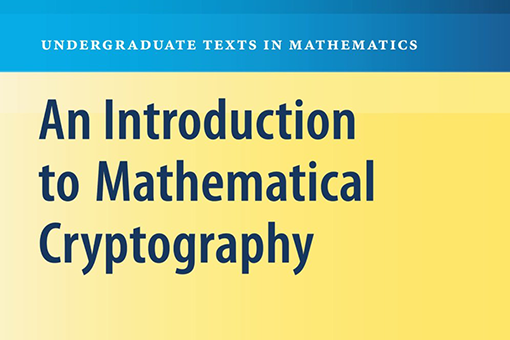 This book focuses on public key cryptography and no prerequisites in higher mathematics are needed, which makes it a great first book in cryptography. A mathematically intensive examination of cryptography that makes it difficult for the reader with little or no mathematics background. 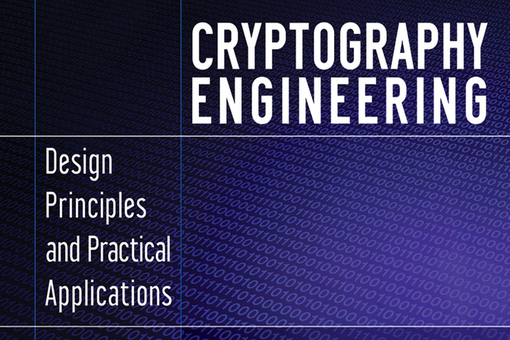 Focuses on the implementation of cryptography in practice systems and the choices developers are faced with. 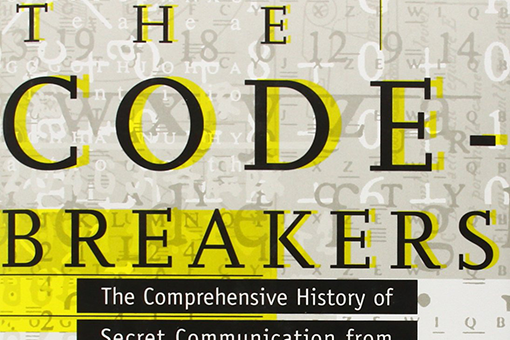 The history of cryptography and its impact on the history from the very beginning to today. 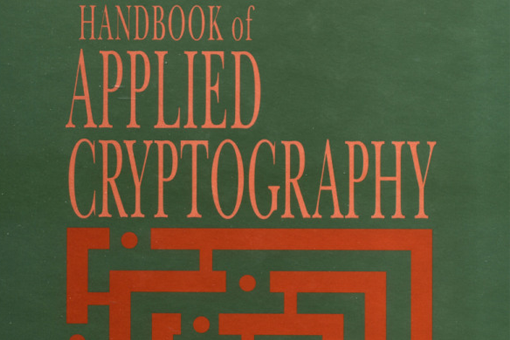 A great free online book that covers all the important areas of cryptography. 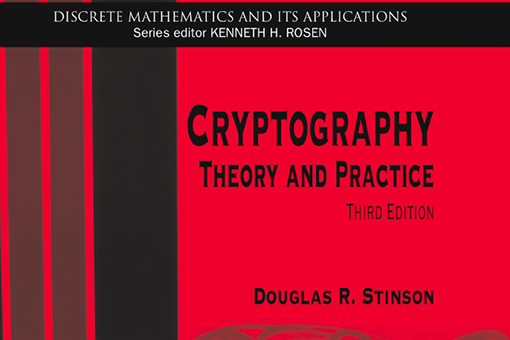 Another great free online book from a graduate course in applied cryptography from Stanford University. 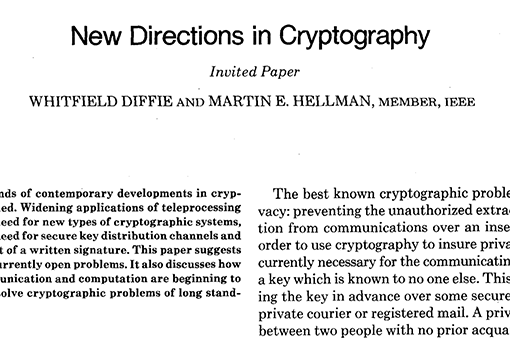 The famous paper by Whitfield Diffie and Martin Hellman, which was the beginning of public key cryptography as we know it today. The homepage of IT security and cryptography expert Bruce Schneier, where he is blogging about security. The homepage of IT security expert Graham Cluley where he is blogging about security. Bruce Schneier on why encryption is important for yourself and other. Website of the International Association for Cryptologic Research where news and papers from the academic world are published. Article about the tools Laura Poitras used to communicate securely with Edward Snowden and keep her work on the documentary Citizenfour safe. Interesting article about how journalists and their sources use secure communication. Status of NSA's work on breaking encryption (the article is in english). How one hacker in 30 min hacked into a persons iCloud, Gmail and Twitter account by exploiting companies different security police. How to hack into an email account just by knowing the victim's mobile phone number. How hackers remotely killed a Jeep Cherokee on the highway. How to disable a sniper rifle or change its target. A video illustrating how powerful social engineering is. Security expert Troy Hunt's list of security links. Top 10 security people to follow on twitter. Glenn Greenwald at TED in 2014 on why privacy matters. Symantecs annual threat report, which provides an overview and analysis of the year in global threat activity. A guide by Micah Lee on how to protect your privacy. Micah Lee helped among other things Glenn Greenwald to setup secure communication with Edward Snowden back in 2013. A guide to create a safe password with a method called "diceware". Micah Lee on how to chat securely and anonymously on Windows, MAC and Android. A guide to stay secure by Bruce Schneier. Why Flash is dangerous and how to deal with it in the browser. Guide to tightening you security with VPN, encryption, safe passwords etc. Why you should use a VPN provider and how to choose the best one. A review of the best VPN providers rated on privacy and security. Online cryptography course at Stanford University. Recommended key size of various cryptosystems such as RSA, ElGamal, AES and hash functions. A browser to surf the web anonymously. Making your browsing more secure by encrypting your communication. Extension for Firefox, Chrome, Opera and Android. See which websites that tracks you while you are surfing the web and makes it possible to block them. Extension for Firefox, Chrome, Safari and Opera. Another service that show and block tracking website. Extension for Firefox, Chrome, Safari and Opera. uBlock is a content blocker for your browser, that makes your web experience faster by e.g. blocking ads. Extension for Firefox, Chrome and Safari. Software to manage your passwords for Mac, Windows, iOS and Android. Alternative free password manager for Mac, Windows, Linux, iOS, Android, Windows Phone and Black Berry. VPN for Mac, Windows, iOS, Android and Kindle Fire inclusive extra security features such as add blocking. PGP software for Mac, which is used to encrypt your emails. A Windows version of the PGP software. And finally a Linux version of the PGP software. A database of public PGP keys at MIT. Secure browser-based chat program for Chrome, Firefox, Safari, Opera, iOS and OS X.
Chat privately in iOS, Android, Mac and Windows where received messages self destroy after a short amount of time just like pictures in Snapchat. Chat client for MAC that encrypt your communication with OTR (Off The Record). A Windows version of the chat client where the OTR extension can be downloaded from the same webpage. OTR (Off The Record) chat client for Windows, Mac and Linux developed by the Tor Project. Open Whisper Systems have created an app for iOS and Android called Signal that lets you communicate securely (even Edward Snowden use Signal). An anonymously and secure chat program, which use the Tor network. A secure mail services with end-to-end encryption. Extension for Chrome that can be used to send encrypted files to another miniLock user. A service that let other people anonymously send you documents and messages. Encrypt your files and folders in Dropbox. Live operation system that protect your privacy and keep you anonymous.